Homemade Flour Tortillas, should have shared this recipe long ago! One day I went through the recipes on my blog, I do this often so not to post a recipe I’ve already posted (it is possible if you were me), I was amazed that there are no Mexican dishes on my blog, hence today I’m sharing Homemade Flour Tortillas. Tortillas made with flour or corn, and in this recipe, I am using flour only. In my recipe, there is no lard, and no baking powder. These tortillas are delicious and are far much better than store bought, since it has no preservatives, nor that acidic smell and taste you sometimes find in store bough tortillas. 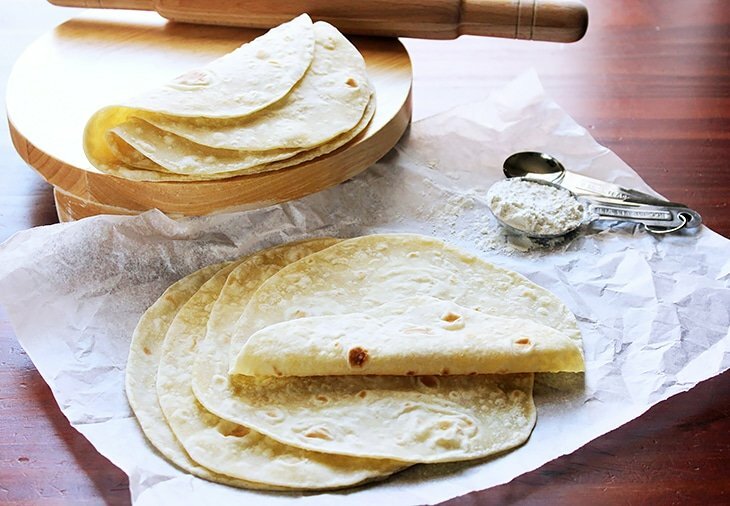 You can freeze these flour tortillas for 6 months, just place a parchment paper between each flour tortilla, to prevent it from sticking together. 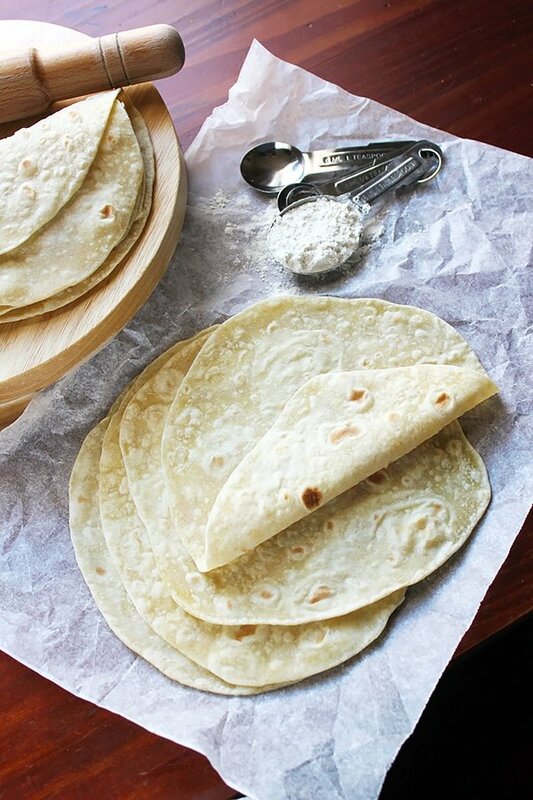 If you made your own flour tortillas, you’ll never buy them again, I promise! The recipe here will make 8 flour tortillas, feel free to double the recipe. These Flour Tortillas are soft. 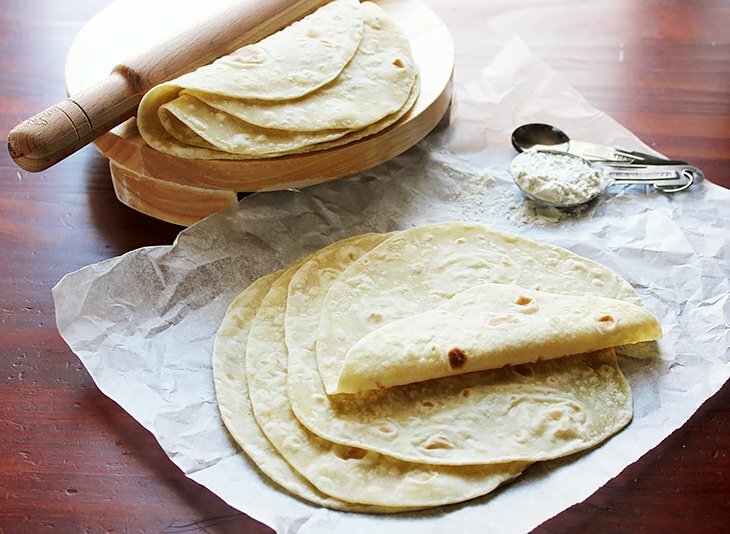 No baking powder or lard is used, yet these tortillas are light and amazingly tasty. Mix all dry ingredients and olive oil well. Gradually add the water and knead for 5 -7 minutes. 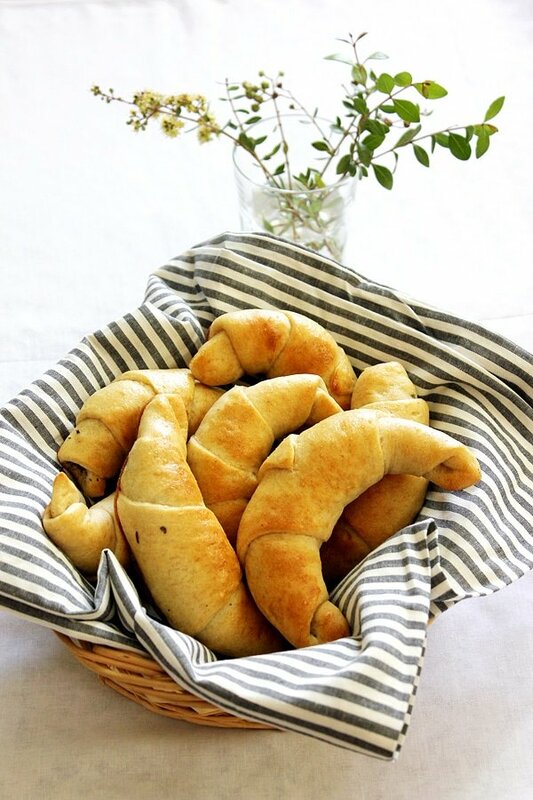 The dough should not be stick but smooth and elastic. Cut the dough to eight equal parts and form eight balls. Dip the ball in flour and then roll to almost 7 inch. Place flat pan on stove, on medium heat. 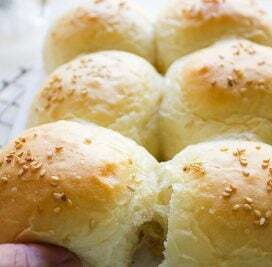 Place the rolled dough on the pan. When light brown patches appear at the bottom, flip the tortilla and cook on the other side until light brown patches appear. Remove from heat and cover with cloth to keep it soft. You’re right Muna, there’s nothing at the store to compare with homemade flour tortillas and yours look wonderful! 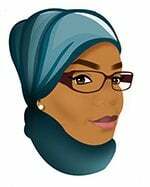 These look so fresh and perfectly done, Muna. These tortillas look perfect! I never thought of making them myself, I always buy them from the store. Fresh is always best, I could only imagine how tasty are the homemade ones! Homemade tortillas are the best! These ones are fresh and absolutely delicious! This tortilla recipe looks like a keeper! Super simple too! Oh my… It’s that easy huh. I think I’m going to have to make my own now. 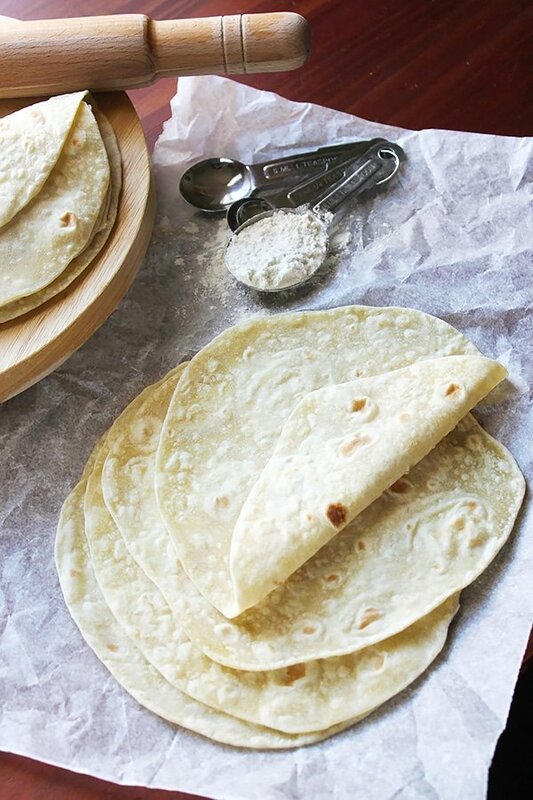 Your flour tortillas look amazing. I love your pictures, beautiful. These look so goo! I need to try them! Hi Anna, Thanks for stopping by! Yes you can make them a day in advance they keep well in a ziploc bag. Thank you so much for this idea!!! I made it and my whole fam loves it!!! Wish I have an option to send photo here!!! God Bless!